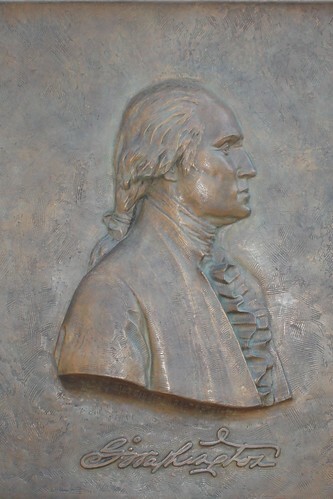 The image, George Washington, is subject to copyright by erglantz. It is posted here with permission via the Flickr API by barneykin. More news to cause you to fret, as though you did not already have enough. Is your house safe? Are you safe? Are your children safe in your home? According to Snopes.com, yes, it is true that door locks can be easily “bumped” open. I first learned of this from “American Daughter,” Nancy Mathis. There is more at the blog “Endgaget”: The Lockdown: Locked, But Not Secure (Part 1) and The Lockdown: Locked, But Not Secure (Part 2). A brand new national poll of Christian conservatives reveals that a large majority of them fear American Mormons more than they fear murdering terrorists. A recent political poll asked Evangelicals: “Would you be more or less likely to vote for Mitt Romney if you knew him to be a Mormon or a radical Islamist?” The poll found that Evangelicals en masse would vote for a terrorist for U.S. president long before they would ever vote a Mormon into the highest office in the land. After all, they explain, a terrorist can be saved from his wayward ways, but as has been irrefutably proved, Mormons are progeny of Lucifer. The evangelical Christian community cites the fact that Mormons worship from more than one holy book, whereas Muslims believe in only the Koran, which was written by their holy prophet. They explain that the Koran embraces Jesus Christ as a prophet, whereas members of the Church of Jesus Christ of Latter-day Saints are not even Christian. Mormons believed in polygamy and that is intolerable in America, the Evangelicals claim. Although Muslims also condone polygamy, it is a part of their Islamic culture and should not be condemned. The Christian conservatives remind us that the Biblical prophets of old were polygamists too, in the Holy Land, not in Utah and Arizona. When asked about the Islamists being recruited and sent throughout the world to terrorize the West, the Evangelicals point out that Mormon missionaries are far more dangerous. The LDS church sends young people out by the thousands for the express purpose of converting everyone to their Satanic cult. Reporters interviewed one Christian conservative, Mrs. Luci Farr, who revealed how the Mormons had come to her town and destroyed the local church there. By going door to door the Mormon missionaries had managed to convert almost the entire congregation. The minister of that church is now taking legal action against the Salt Lake City organization citing workplace discrimination. He felt that because the Mormons had destroyed his livelihood, if they were really Christians as they claim to be, they would have given him employment as a minister. Instead, the Latter-day Saints expected him to serve the Lord without pay, as do all other Mormon clergymen. Just one more of those weird Mormon beliefs, Luci Farr explained. You are currently browsing the Kerfuffles and Flourishes blog archives for February, 2007.